The Rosary will be recited at 5:00 PM. Warm, welcoming, and generous, Sue Pohlman lived with a full heart and an unwavering commitment to serving others. 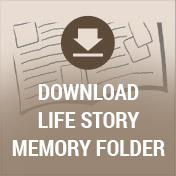 A devoted wife, mother, grandmother, friend, and teacher Sue radiated in her love for others. “Mom” to many, Sue touched, moved, and inspired all who were blessed to know her. 1946 was a year marked by much celebration and hope. With the victorious end of World War II, families tuned into the celebratory tunes of Bing Crosby, Perry Como, and the Andrews Sisters, while children delighted in the debut of the slinky. While the nation indulged in a renewed sense of peace and newfound hope, even greater promise for the future was celebrated by Michael and Margaret (Kolevar) Schachtner as they welcomed their daughter Sue into their hearts and home on September 9th. Growing up in the industrial and manufacturing city of Saginaw, Michigan during the 50s, Sue’s childhood was rich in the middle-class values of family, church, community, and hard work. While she enjoyed the comforts of a tight knit neighborhood where the neighbors all knew and looked out for one another, she also enjoyed the good company of her older sister, Mary, and her younger brothers, John and Mike. Sue's father supported the family by working at Western Electric, and her mother worked at Saginaw News. The Schachtner’s commitment to their faith was not only evidenced in their membership at St. Andrew Catholic Church, but also by their willingness to do the work and make the sacrifices to afford their children a parochial education at St. Andrew. Sue attended St. Andrew Elementary and later graduated in 1964 from St. Andrew High School. 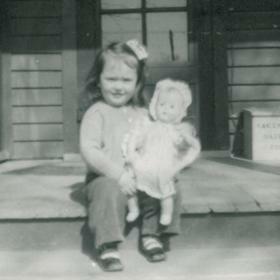 Not only did she walk to school, but she also babysat as soon as she was old enough. Between her parents’ and community’s solid role modeling, her faith based education, and her own hard work, Sue forged an undauntable work ethic and commitment to excellence that became the firm foundation for the rest of her life. While attending Madonna College in Livonia, Sue continued to explore her faith while also pursuing her Bachelor’s of Arts Degree in English Education. During the summers she worked at the bakery in Standish which was partially owned by relatives. She loved the work. Tending to others by affording a warm welcome and delicious nourishment fueled her desire to pursue a service centered career. While completing her studies in 1968, Sue had the good fortune of meeting Michael Pohlman at her best friend Carol’s wedding. Michael, a good friend of the groom, Tom, had the honor of being paired as a groomsman with bridesmaid Sue. Though Michael was instantly smitten, Sue was unimpressed and didn’t even want to share the walk down the aisle with him. Despite her rebukes, Michael persisted, and Sue eventually agreed to allow him to call her. The evening ended without Sue giving Michael her unlisted number and her presuming that would be the end of it. Little did she know that with his friends in the police department Michael would soon be calling her up. The first time he arrived at her family’s home, Sue’s mom thought he was a salesman! The two dated for about a year and exchanged their wedding vows at St. Andrew Catholic Church on October 17, 1969, surrounded by friends and family and blessed by Sue’s uncle, Fr. John Kolevar who officiated the marriage ceremony. The happy couple soon made their home in Kalamazoo. Sue taught for a year at Pullman before being hired by Otsego Public Schools. 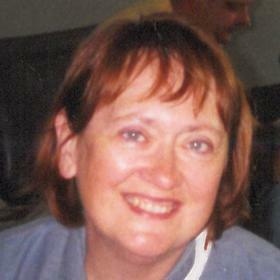 From 1971 until her retirement, Sue taught English and Journalism at Otsego. She relished in her role as a teacher, especially the challenges and delights of inspiring the best out of students who were considered underdogs. Her passion for connecting, inspiring, and encouraging reluctant and resistant learners resulted in many a young person pursuing college in spite of not having considered it a possibility before Mrs. Pohlman entered their life. Sue was proud of her journalism students’ commitment to the school’s newspaper. Under her leadership, the Bulldog Barks was a high-quality publication. 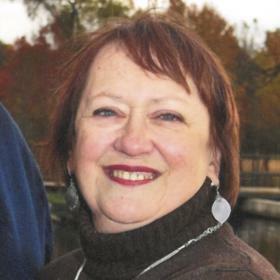 She also enjoyed participating and supporting her students’ co-curriculars and attended many plays, musicals, games, and concerts over the years. 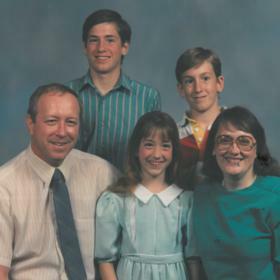 With her signature eye for detail and commitment to excellence, Sue was a very active mother to her three treasured children, Michael, Jeremy, and Kara. She was a strict mother who believed in the gift of clear and consistent structure. She insisted the kids speak with correct English, tend to their studies, and give 100% in all their endeavors. Though the kids were pretty sure their mother had eyes in the back of her head, they appreciated her commitment to their family.  Like her parents before her, Sue built her family on the foundation of an active faith life. The family attended St. Monica Catholic Church on Sundays where they were expected to be on their best behavior and properly dressed for worship. It was equally important to Sue that her children have the gift of a parochial education at St. Monica and Hackett schools. While the kids were in school, Sue maintained an open line of communication with their teachers assuring that they were doing their best. She also encouraged them to participate in sports. The Pohlman family home was rich with tradition. Sundays centered around church and big brunches, holidays celebrated family, and books were always being encouraged and read. During the week, family dinners were the highlight of the day and were often followed by more family time playing board games. Each summer, during the last full week of June, the family traveled to Lake Leelanau where they left the worries of home behind, and many special memories were made. Christmas was Sue’s favorite holiday. She loved the thrill of starting her shopping on Black Friday and celebrating her faith while being surrounded by those she loved most. Though Sue didn’t travel much, most often to visit family, she loved to take journeys of the imagination in the fiction she so enjoyed. When not creating beautiful needlework or cross stitch, Sue could often be found curled up with a good mystery, suspense novel, or a book of mythology. She also relished in the beauty and smell of fresh flowers. Her passion for flowers led to her working part time at Portage Flowerette and later at Wedel’s in the floral department. Sue loved working in the family atmosphere of both businesses and creating beautiful arrangements that helped enhance celebrations and provided comfort for many fortunate customers over the years. For the last couple of years, Sue enjoyed leading the CCD Class at St. Monica's, teaching the children about their Catholic faith. For those who were blessed to know her, it was abundantly clear that Sue strove to embody the principles of her faith. She loved unconditionally, practiced forgiveness, encouraged peace, and remained humble. She listened with empathy, gave freely, and was often a safe place for others to simply be. With her radiant smile, twinkling blue eyes, and generous heart, Sue lovingly enveloped others and gifted them with the reflection of their best selves. Despite life’s hardships, Sue consciously chose to celebrate the gifts each day held. After being in a serious car accident in 1989, she began the difficult journey of living the rest of her life with chronic back pain. Regardless of the challenges the pain imposed, she never let it stop her from doing what was important to her. She especially never allowed it to compromise her opportunities to have fun with her grandchildren who were her heart’s delight. Without a doubt, life feels duller without Sue’s brilliant light. May it afford deep comfort to know that with correct verb used, holiday shared with loved ones, good book read, and beautiful flower appreciated, we continue to share the beautiful legacy of this good woman in our own daily lives. Age 71, died unexpectedly September 12, 2017, in Kalamazoo. She was born September 9, 1946, in Saginaw, the daughter of Michael and Margaret (Kolevar) Schachtner. 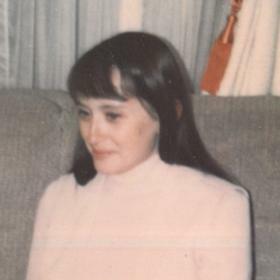 Surviving are her husband of 48 years, Mike; 3 children: Michael II (Ruth) Pohlman; Jeremy (Chrissie) Pohlman and Kara (Larry, Sr.) Mannor; 7 grandchildren: Jordan, Chase, Mina, Ian, Larry, Jr., Jonathon, and Andrew; 3 siblings: Mary Kirk, John and Michael Schachtner; niece and God-child, Samantha Beasley and many nieces and nephews. Visit with family and friends while sharing food and drinks on Sunday from 2 – 5pm at Betzler Life Story Funeral Home, 6080 Stadium Dr. Kalamazoo (269) 375-2900 where a rosary will be recited at 5pm. Mass of Christian Burial will be celebrated Monday 10am St. Monica Church followed by a luncheon. Burial will take place at St. Augustine Cemetery, Hillman. Please visit Sue’s personal web page at www.betzlerfuneralhome.com, where you can read her story, archive a favorite memory or photo and sign her guestbook before coming to the funeral home. Memorial contributions may be made to Hackett Catholic Prep.